Editor’s note: We wish Jason well in his new venture! Thank you for all you did for Pottstown! 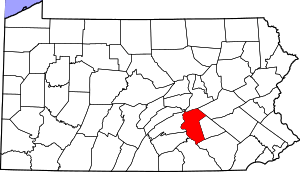 WEST NORRITON TOWNSHIP, PA — Jason Bobst started his new job as township manager on Monday with meetings with acting Township Manager Joe Hein, township employees and township businessmen. The 30-year-old Cumru, Berks County, resident had given Pottstown borough officials the required 90-day notice but Pottstown appointed Pottstown Police Chief Mark Flanders as interim manager and let Bobst leave two weeks early to take on his new position. The West Norriton Board of Commissioners approved a two-year employment contract for the $100,000-per-year job along with a car lease for a Ford Explorer. The contract specifies a performance/salary review after the first year. Oktoberfest, the most successful new festival in the first year of ArtsQuest’s SteelStacks campus in 2011, returns in October with new food, new contests and advance tickets that save festival-goers up to 25 percent, it was announced Monday. The celebration of autumn and the Lehigh Valley‘s Germanic heritage, set for Oct. 5-7 and 12-14, will retain its most popular components: music, food, activities and, of course, beer. And it will have the same title sponsor: D.G. Yuengling & Son brewers. Yuengling announced that the Yuengling Oktoberfest beer debuted at last year’s festival “was so well received that it will make a triumphant return in kegs and now bottles for 2012,” Yuengling Marketing Manager Jen Holtzman said. U.S. Steel Corp., the country’s largest producer of the metal, reported second-quarter earnings that beat analysts’ estimates after demand rose for tubular products. 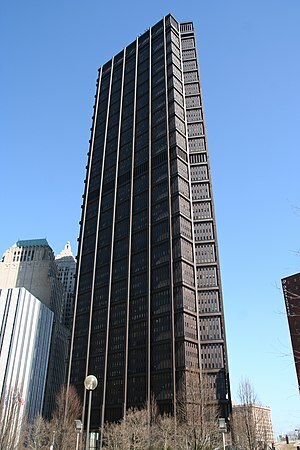 Net income fell to $101 million, or 62 cents a share, from $222 million, or $1.33, a year earlier, Pittsburgh-based U.S. Steel said today in a statement. Profit excluding one-time items was 69 cents a share, exceeding the 49-cent average of 19 estimates compiled by Bloomberg. Sales declined to $5.02 billion from $5.12 billion, compared with the $5 billion average estimate. Demand from U.S. Steel’s customers in the oil and natural- gas drilling helped offset lower prices for hot-rolled steel coil, a benchmark product used in cars, trucks and appliances. WASHINGTON – The U.S. Postal Service is bracing for a first-ever default on billions in payments due to the Treasury, adding to widening uncertainty about the mail agency’s solvency as first-class letters plummet and Congress deadlocks on ways to stem the red ink. With cash running perilously low, two legally required payments for future postal retirees’ health benefits – $5.5 billion due Wednesday, and another $5.6 billion due in September – will be left unpaid, the mail agency said Monday. Postal officials said they also are studying whether they may need to delay other obligations. In the coming months, a $1.5 billion payment is due to the Labor Department for workers compensation, which for now it expects to make, as well as millions in interest payments to the Treasury. Editor’s note: Thank you Senator Casey! Cleaning up Reading will help Pottstown, which is the biggest victim of the drug traffic between Reading and Philadelphia! Bring on the big guns!!!! Plans for a summit in August to identify strategies for fighting crime in Reading began moving forward Monday, when U.S. Sen. Bob Casey Jr. urged Attorney General Eric H. Holder Jr. to allow their staffs to figure out what role the federal government should play. Casey said he expects Holder to respond within a few days. Reading isn’t the only community facing crime-fighting challenges, but the problem seems to be more pronounced and showing a sharper trend than other communities, Casey said. The federal, state and county governments need to help because the city can’t deal with it alone, he said. This site is great for keeping up with what’s going on in London! Copper remains a tempting target among thieves in the midstate. Today state police in Lykens reported the theft of an unknown amount of copper from the Lykens Borough Pump Station at Pottsville and Market streets in Wiconisco Township. Police said the theft occurred overnight Sunday July 22 into Monday July 23. Brass items were also taken. Police in North Middleton Township last week reported that more than $3,000 worth of copper was taken from a Comcast storage building on Newville Road. That case remains unsolved, township police said. Will Gas Pump Prices Keep Rising? Prices at the pump have been inching higher all month, but don’t expect the trend to continue, according to AAA. The summer driving season spikes demand and tends to push prices higher, and the recent rise may have been partly fueled by concerns about a possible confrontation with Iran over its nuclear program, according to the drivers’ association. The outlook, though, is for prices to stay level through Labor Day. At the end of June, a gallon of regular averaged 3.40 a gallon in the five-county Philadelphia area. At Lakehurst‘s historic Hangar 1, made famous by the fiery Hindenburg disaster nearby 75 years ago, another airship is waiting to take off on its next mission. While aloft, the manned 178-foot-long Navy blimp – emblazoned with red, white, and blue rudder stripes – has drawn wide-eyed stares from onlookers across Philadelphia’s suburbs and along the Jersey Shore over the last several months. The MZ-3A‘s testing at Joint Base McGuire-Dix-Lakehurst is part of the U.S. military’s renewed interest in airships, known for their ability to stay airborne for long periods and land without runways. “Over the past decade, as drones have gained favor in identifying and sometimes engaging enemy forces, an ‘old-new’ concept has also reappeared – the observation dirigible,” said Guillaume de Syon, an aviation historian, author, and professor at Albright College in Reading. DOWNINGTOWN, PA – Regional chain Molly Maguire’s has its eye on Downingtown for its next installment. Township Manager Stephen Sullins said that the restaurant will be an asset to the community, complementing the borough’s current businesses, and a future employer for the localworkforce. CARBONDALE, PA – When Marian Community Hospital closed in late February, Upvalley residents had no other options for immediate care between Honesdale and Scranton. Helping fill health care needs in the area, Pioneer City Urgent Care, a seven-day-a-week clinic, has opened to treat anything from bronchitis to earaches and bone fractures. Jaime A. Cook, R.N., practice manager for the clinic and a registered nurse, said people should consider the new facility instead of driving out of the area for medical assistance. Armstrong World Industries today reported a 10.3 percent increase in second-quarter net profits, despite lower sales. Net profits were $41.8 million (70 cents a share), up from $37.9 million (64 cents a share) in the second quarter of 2011. Sales, however, fell 5.2 percent to $709.9 million from $748.6 million in the comparable year-ago period. Although sales slid, Armstrong said it boosted profits by cutting manufacturing costs and reducing its selling, general and administrative expenses. They were only supposed to be visiting for the day. In early June, Jody and Cheryl Fallon came to Lancaster to see a friend’s art exhibit on Gallery Row. The Fallons, married artists who live about two hours north of Lancaster, walked around town and wound up in a gallery on Water Street. They noticed the space next door was vacant and learned it was for rent. They looked at each other, Jody Fallon recalled, and an idea formed. The Penn Street Posse’s Plan A to pretty up the planters on Penn Square didn’t work out. So Plan B commences Saturday, thanks to a lot of volunteers. Among them is Diane Salks, owner of Riverview Tree & Landscaping on Pricetown Road in Alsace Township. She and a crew – most of her 27 employees wanted to volunteer, but she ordered some to stay behind and work – will be planting 95 liriopes with a bluish hue and 45 knockout rose bushes in hot pink and red. 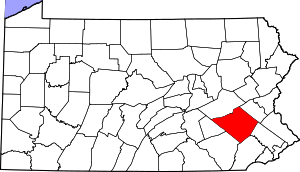 A local role in the state’s natural gas drilling boom isn’t quite as far-fetched as it was a month ago, now that a federal report has identified some potential for an untapped supply beneath southern Berks County. The natural gas in question is contained in the South Newark Basin. 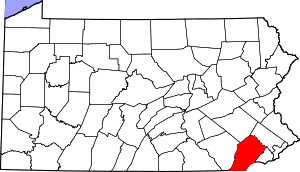 Its western tip lies under a triangular wedge of Berks that includes Douglassville, Birdsboro and Exeter Township, according to the report issued in June by the U.S. Geological Survey. USGS estimated that 785 billion cubic feet of recoverable natural gas could be in the basin. But several factors make drilling in Berks appear to be a long shot. LONDON, July 27 (Reuters) – Bells rang across Britain on Friday to signal the final countdown to the Olympic Games, which open with an exuberant and eccentric ceremony celebrating the nation in an explosion of dance, music and fireworks inspired by Shakespeare’s “Tempest”. The three-hour showcase created by Oscar-winning “Slumdog Millionaire” director Danny Boyle takes spectators on a journey from Britain’s idyllic countryside through the grime of the Industrial Revolution and ending in an explosion of pop culture. Watched by 60,000 people at the main Olympic stadium built in a run-down part of east London and a global audience of more than a billion, the event will have passages described by British Prime Minister David Cameron as “spine-tingling”. The spectators will be urged to join in sing-a-longs and help create spectacular visual scenes at an event that sets the tone for the sporting extravaganza, when 16,000 athletes from 204 countries share the thrill of victory and despair of defeat with 11 million visitors. WASHINGTON (AP) — The U.S. economy grew at an annual rate of just 1.5 percent from April through June, as Americans cut back sharply on spending. The slowdown in growth adds to worries that the economy could be stalling three years after the recession ended. Growth at or below 2 percent isn’t enough to lower the unemployment rate, which was 8.2 percent last month. And most economists don’t expect growth to pick up much in the second half of the year. Europe’s financial crisis and a looming budget crisis in the U.S. are expected to slow business investment further. Nearly 7,000 PPL Electric Utilities in Northeast Pennsylvania are still without power this morning due to Thursday’s thunderstorms. A total of 6,737 PPL customers in Lackawanna, Wayne, Pike, Monroe, Susquehanna and Luzerne counties were still without power as of 8:30 a.m., according to the utility’s outage website. Wayne County had greatest number of customers still without power this morning with 2,701 customers out, though an additional 1,040 had already been restored.